Anyone who's ever rented a car has likely experienced "car rental apoplexy" -- the anger that rages when the agent tells you the cheapest compact costs $67 per day, or when somehow they don't have any cars available upon your arrival (but I made a reservation?!?! ), or when a weekly rental still tops $400 because of taxes and fees, even though the daily rate is, like, $12. And seriously, don't even get us started on the insurance. 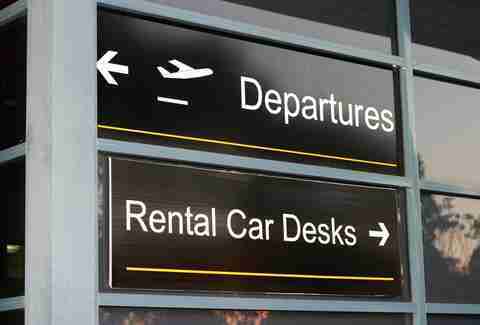 But there are some ways you can tip the scales in your favor when renting a car. And to find out how, we asked rental car experts (read: car rental agency employees who agreed to spill if we kept them anonymous) for their tricks of the trade. Unlike frequent-flyer programs, which really only benefit you if you fly with one particular airline a LOT or use an airline-branded credit card for all your spending, car rental agency member programs -- like Emerald Isle, Hertz Gold, Dollar Express, Thrifty Blue Chip, Avis Preferred, Budget Fastbreak -- are free to join, don't require a credit check, and begin accruing benefits pretty much immediately. In addition to free upgrades/rentals, all member programs allow you to bypass the counter entirely, regardless of how many people are in line or how infrequently you actually rent. In fact, the goal of most rental companies is to get members out of the building (if they have to enter at all) in under a minute. A minute! 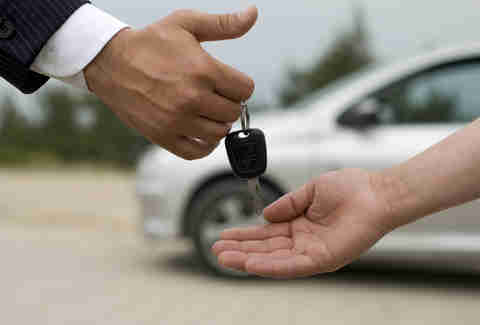 Plus, members typically score pre-assigned newer, nicer vehicles. Well, at least, as much as you can. RetailMeNot.com, Coupons.com, and even Groupon are often good places to score deals. Unless the location is temporarily out of the car class you reserved, or you're picking up on a slow weekend and are super friendly to the agent and ask nicely, you're not getting any kind of free upgrade, much less to a luxury vehicle. Even if free upgrades did exist -- AND THEY REALLY DON'T -- you might get bumped from an economy to a compact, at most. BFD. First, don't roll in and demand, "I want an upgrade!" -- it's off-putting and ineffective and will likely result in the agent doing little to go out of his or her way to help you. But if you come in brandishing your AAA, Sam's Club, or Costco memberships, you are identifying yourself as a savvy bargain hunter and will likely be rewarded with a discount equivalent to what you would have paid for an upgrade. Alamo/National/Enterprise have a row of cars that are free for any of their members to drive so long as they booked a mid-size or better. The companies use this system to unload cars that aren't rented often or that they might be heavy on. "You'll probably never get a Cadillac when you've booked a Ford Focus," one agent says, "but you might move from that bland Toyota Camry to a Chevy Impala or a small SUV." On top of that, agencies typically have another dedicated "hot row" for members only, and it's staffed by a personal attendant who can offer a better upgrade than the agent at the counter. The best time to book is as soon as possible. 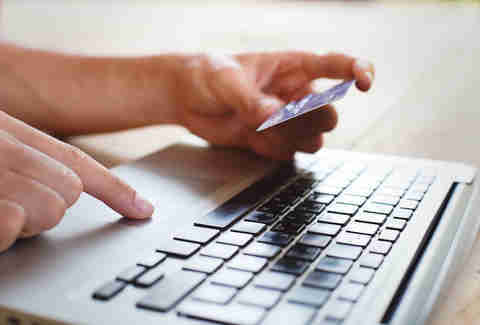 Each company has software that links to the online travel sites and adjusts prices according to both other listed prices and the company's available inventory. If it's a holiday weekend or peak travel time, inventory gets booked sooner and rates go up. If you see a great deal several months out, book it, then check every few weeks to see if it has changed and request your price adjustment. If you don't care about which company you rent from and just want the best deal, third-party sites like Kayak, Priceline, Travelocity, and Expedia are your best bets for deals. However, that doesn’t mean you're getting a better deal than you would if you booked directly through the agency's website -- $30/day for an economy car from Enterprise through Orbitz is also going to be $30/day on Enterprise's website. All of these websites are pulling from the same rate tables. Sometimes you'll get a better rate through the company's website or by calling the company directly, but most of the time it won't make a difference. This isn't that common and certainly not a guarantee, but if there's a lull in booking or they need to get certain car classes on the road, companies will open up very specific rate codes to unlock low rates. And those rates will only be available on the company's website -- so it's worth at least checking before you make a reservation. For trips longer than a week, it's also worth your time to call and ensure you are getting the best pricing -- many companies now offer long-term, monthly, and mini-lease rental options that are cheaper than published daily rates. Airports have what is called an "airport concession recovery" that is charged to the rental companies and, subsequently, passed on to the consumers in the form of a fee. It ranges from 2%, all the way up to 18% in certain markets. So yes, while non-airport locations are cheaper, your selection is usually limited and it's your responsibility to get yourself to and from the airport -- which might be more trouble (and more costly) than the rate difference is worth. Sunday, Monday, and Tuesday are the worst possible days to rent a car. This is peak rental time and every single company has corporate clients for whom they guarantee certain rates and availability. Retail customers take a (very) distant back seat. For the best possible rates and selection, pick up on a Thursday night or later... though the longer you push into the weekend, the more limited the selection will be. How it works: you pre-purchase a full tank of gas so you don't have to worry about refueling before you drop off the car. 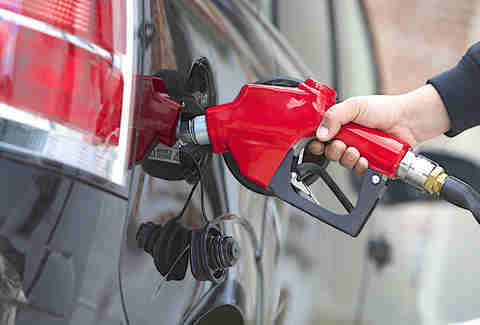 Some companies also offer partial tanks and yadda yadda; the thing is, it's not that hard to fuel up close to the rental drop-off and avoid being charged the upwards of $10-per-gallon refueling penalty. (One agent recommends filling within 10 miles of the drop-off location and keeping that receipt as proof.) Purchasing fuel in advance only pays off if you somehow manage to drop the car off needing EXACTLY that much fuel. 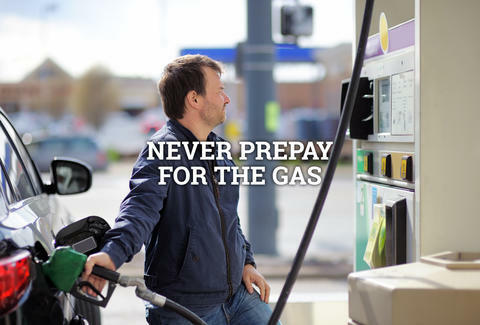 If you buy a full tank and drop the car off at two-thirds, you do not get a refund for the unused gasoline. It's also a complete rip-off: not only is it subject to the local gasoline tax but also all the taxes and fees that the airport tacks onto every purchase there. This is strictly a convenience purchase, and it's not smart. More likely than not, you will get a worse rate by procrastinating. Yes, taking a chance on walk-up rates might pay off on a slow, off-season weekend when companies are overloaded with cars, but most of the time it's not worth it. If you don't care about the car you rent or the company, you can also roll the dice with Priceline's "name your price" bidding option. Either way, you're taking a gamble with last-minute booking, and you will rarely benefit. Every person who has ever rented a car has at some point panicked over the additional insurance offered, especially as over-aggressive counter agents strike fear into you with mention of $100-a-day "loss of use" fee should the car be damaged in an accident (which they can, and will, charge). Allow us to parse this out for you, 'cause Lord knows the rental car companies would like to keep it as vague and ominous as possible. This is a waiver of responsibility for the car without paying a deductible. The simplest way to find out if you really need this is by doing a bit of phone dialing. First, ask your car insurance company if you're covered for rental cars, if you have a deductible for rental cars, if there is there a dollar limit to that coverage, and if there are any exclusions. Then ask them if they cover "loss of use" from car rental companies. THEN call your credit card company and ask them the same questions. For example, certain American Express cards offer A+ premium insurance for very little per trip if you notify them in advance. Many Chase cards offer full car rental coverage in excess of anything not covered by your insurance company so long as the card was used to book and pay for the rental and the rental period does not exceed 30 days (for longer rental periods, you would need to break up the booking). Many cards will require you to go through your insurance first, but some don’t -- so find out. Then again, sometimes it's just not worth the hassle of going through your insurance provider and credit card company in the event of an accident, and being able to just turn in the wreck with the keys is a nice convenience. Additional coverage costs anywhere from $10-25 per day, which is economical for short weekend trips. However, for longer trips it becomes cost-prohibitive, and as long as you know that between your insurance company and your credit cards you're fully covered, you shouldn't feel that you need to get it -- because you don’t. This is coverage for damage you cause to someone else's person or property. In this case, car rental coverage can be a good deal: it offers $1,000,000 in coverage to expend before you ever contact your own insurance. It doesn't cover the car at all, but it covers other people you hurt or cause loss to. Again, contact your own insurance company and find out the specifics (and limits) of your own coverage in a rented vehicle. This is coverage for any occupants in the case of injury, death, or damage to personal items from an uninsured or under-insured motorist. If you live in the United States and have auto insurance, it's not worth your time to even worry about this. But if you are visiting from another country, seriously consider this, as insurance coverage in different countries may differ widely. All of these insurance options are just that: OPTIONAL. You are not required to purchase any of them, and most credit card-carrying American motorists are already covered for everything these added plans offer. If you do decide to add insurance, here's some advice from one of our experts: "Never ever, ever, ever, ever, ever, ever, ever, ever prepay insurance through a third-party site. Most of those policies are complete trash and will serve as nothing other than peace of mind -- until something happens. Whomever you rent with will still charge you, directly, for any and all of the damages and YOU will have to track down somebody at Priceline or Joe's Car Insurance or whoever to get things covered. And frankly, no one ever reads the terms and conditions and they are masters at hiding stuff in fine print that makes their contract virtually worthless." So, there you go. Nicole Rupersburg is a freelance writer and a frequent traveler who really wishes she had been told all this several years ago. Follow her on Instagram: @eatsdrinksandleaves.